My blog offers you to take a look at collaboration of all my hobbies – I got hooked on food photography, eating out and writing about things I cook several years ago, but only in 2015 I realized I have to share it with the rest of the world. Welcome! 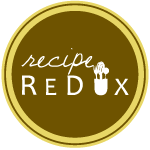 I’m going to fill this blog with a fine selection of my favorite tried recipes, accompanied by captures of the home-made dishes (made by me, of course :)). And what is more, I’m gonna introduce the restaurant world and how I see it to you, my dear readers. Funny and i-hope-that-they-are-adventurous stories of my daily life in 2 different countries (Russia and the UK) are included for free (just kidding). I hope you’ll enjoy it as much as I personally do. I strongly believe that we should surround ourselves with the pure inspiration and beauty, with something that inevitably catches your eye and never lets you pass by or scroll through. Never miss a chance to try one of my recipes, I swear it won’t leave you cold. And always remember: Indulge yourself. And help yourself to Such Yummy Stuff! I am very inspired by finding your blog and having a look at all this lovely pictures. You are saved at my Links now with a “yummy & lovely” and I am looking forward to visiting your blog tomorrow again, than it is a little earlier. Oh I’m soooo pleased to hear that ❤ ! I hope you will be enjoying my stuff further on. And I'll try to deliver the best content. Loving what I see so far :)! Catch you in HBC and I hope to learn and grow together :)! Speak soon :)!